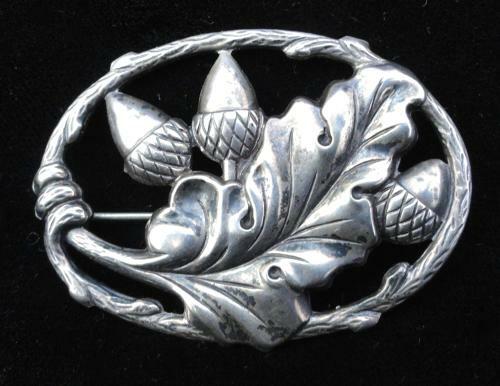 Lovely oval framed Victorian silver Acorn brooch. Etched leaves surround a cluster of Oak Acorns. Marked Sterling and in great condition with working clasp and hinge. Size: 1 7/8 inches in length x 1 3/8 inches wide.